Sterling silver, Coral and Mother of Pearl. 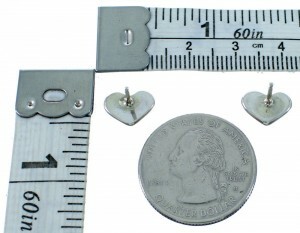 Post stud earrings measure approximately 1/4" long and 3/8" at widest point. 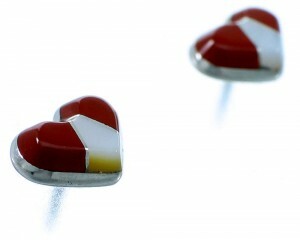 We bring to you this adorable pair of earrings! ♥ This piece of Native American jewelry is Zuni hand crafted by artist T. Leekya, out of genuine sterling silver, along with man made Coral and Mother of Pearl inlay. 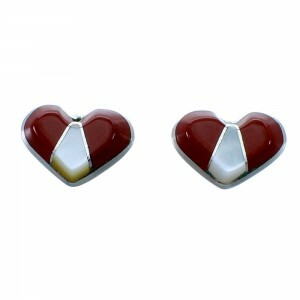 The inlay is carefully set forming a stunning heart design, while thin silver lines accent the earrings for a stylish look.